Not that long ago, travelers had a pretty slim selection of shopping to occupy their time during layovers at the airport. If we were lucky, we might find an overpriced and overcooked hamburger served up with iceberg lettuce and limp French fries and a soda. To keep busy in between flights, we could visit an airport newsstand or maybe a souvenir shop. Move over, t-shirt shops, newstands and clichéd souvenirs — when it comes to airport shopping, things have gotten better. A lot better. In fact, a recent article from USA Today said that airports now look like “bustling bazaars,” filled with a wide variety of high end vendors and gourmet food options. Many airports throughout both the United States and Canada have renovated and expanded their retail areas with stores that make them feel more like fancy malls than boring old airport concourses. 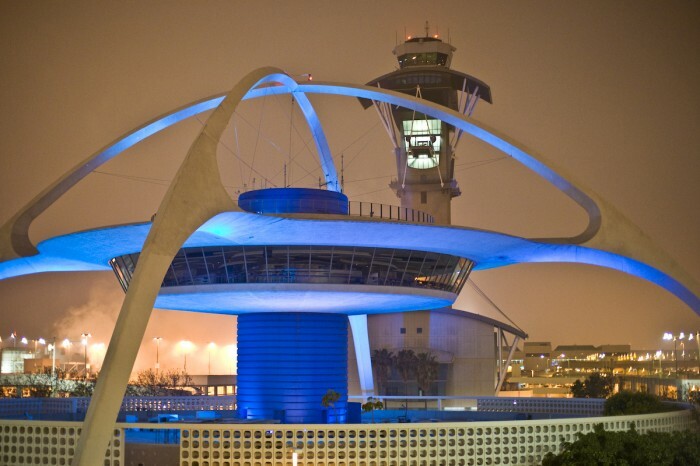 Los Angeles International Airport’s new Bradley West International Terminal has more than 60 new food and luxury retail establishments, including Michael Kors and Fred Segal. By the end of February, Dallas/Fort Worth International Airport’s Terminal A is expected to have 50% more space for retailers and concessions. And Denver International Airport is set to completely re-do its restaurant and retail options over the next few years. A quick glance a few other major airport websites indicates that they, too, are part of this new trend. Phoenix Sky Harbor Airport boasts a swanky selection of merchants like Brighton Collectibles, as well as nice upscale restaurants, including La Grande Orange, Barrio Café, and Sauce. Up in the Pacific Northwest, travelers at Portland International Airport can enjoy a spa layover at the DragonTree Holistic Day Spa before they check out one of Nike’s hometown stores. There are some pretty tasty steaks, seafood, chicken and more at the popular Stanford’s Restaurant and Bar. And at Chicago O’Hare Airport, weary travelers can treat themselves to a luxurious watch from MontBlanc or check out the latest high end electronics and gadgets at Brookstone. In the mood for a mani-pedi before getting on your next flight? Logan Airport in Boston includes Be Relax Spa, which offers a variety of spa services. Of course, the proliferation of gourmet restaurants and top-notch shopping opportunities means that we are more likely than ever to use our wallets while at the airport. As a result, you should be vigilant protecting your debit card, identification cards, and passport. Debit cards make up more than $1 trillion of the annual purchases made by consumers in our country, according to LifeLock. As the company noted, some cards are safer than others for people to use. Overall, credit cards offer shoppers more security and less risk because the money is not coming directly from your bank account. For someone who is traveling, having a checking account drained and unavailable for immediate use on vacation can be incredibly stressful. This is why it is so important to alert your financial institution of any issues within two days of noticing a problem; this will limit the loss to just $50. Not that long ago, hungry travelers had a pretty slim selection of gastronomic fare to fill up on during layovers at the airport. If we were lucky, we might find an overpriced and overcooked hamburger served up with iceberg lettuce and limp French fries and a soda. To keep busy in between flights, we could visit an airport newsstand or maybe a souvenir shop.